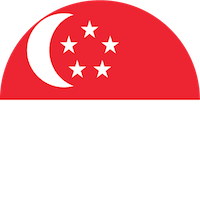 Looking for useful Uber promo codes in Singapore for 2018? We’ve got you covered with this updated list of codes. Updated every month. We know you’re here for Uber promo codes in Singapore for 2018, so we’re not going to bore you with a long, pointless intro. We’ll try to keep this page as updated as new codes come out. Don’t forget to check back! 1. Automatically applied: Take uberPOOL from Changi Airport to anywhere in Singapore at SG$10. Valid till 31 Oct 2018. 2. Uber promo code: 3SGDX10 to get $3 off 10 uberX or uberPOOL rides from 10AM – 6PM till Friday, 12 Jan 2018 and ride islandwide for less! Limited redemptions. 3. Uber promo code: GET3X3 to get $3 off 3 and then $5 off 5 uberX and uberPOOL rides from now to 14 Jan 2018. 4. Uber promo code: GET50OFF5 to enjoy 50% off 10 uberX and uberPOOL rides (capped at $5) from now to 14 Jan, 6am to 11.59pm. 5. Uber promo code: RYDEUBER to get $5 off first 3 rides for new users. Valid from now to 18 Mar 2018. 6. Uber promo code: ILOVEUOB. Pay with an UOB card to enjoy $20 off your first ride with Uber. Valid from now to 28 Feb 2018. 7. Uber promo code: AMEXSG. New users can pay with an American Express cardto enjoy $10 off your first 2 Uber rides. 8. Cashback: Pay your Uber rides with a Standard Chartered Credit Card to enjoy 20% cashback on all your Uber Rides (anywhere in the world) from now until 30th September 2018! *Terms and conditions apply. 9. Promo: Join LiveUp to enjoy a S$10 discount on every 10th ride taken with Uber. You also get to enjoy an exclusive UberVIP access in Singapore. Got more codes to share? Leave them in the comments below and we'll add them in. Check out other deals here.